Fish in a Tree is born from a passion for learning, playing, imagining, exploring and discovering outdoors. Based in Derbyshire, our imaginative, outdoor Forest Schools experiences cater for a range of groups and ages. We offer a wide variety of creative and multi-sensory adventures, and go out of our way to understand the attributes of the individuals taking part; thereby enabling them to discover their full potential, and making their experiences even more meaningful and memorable. 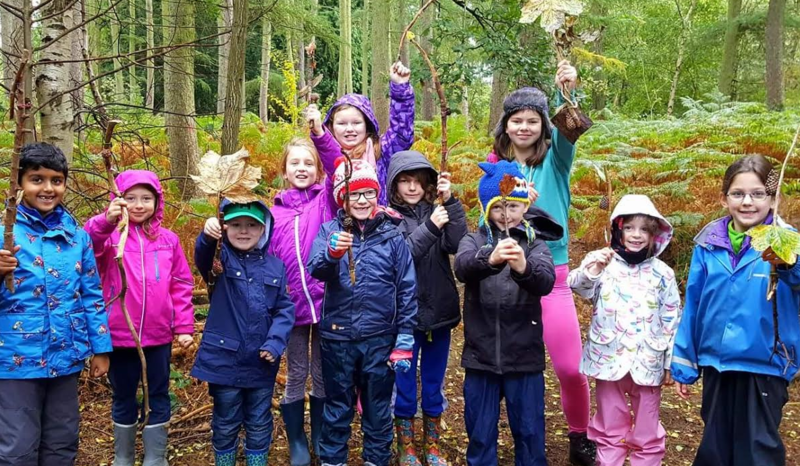 Our activities help to nurture a connection with the natural world, and develop confidence, self-esteem, communication, co-operation and problem solving skills. Our Literacy in the Leaves, Wild Writing and Story Book Experiences are aimed at Y2+ educators who want to integrate outdoor literacy into their practice, resulting in proven, positive impact on children’s literacy development. We believe that children’s writing flourishes when it is experiential, relevant and fun; teaching literacy using the outdoors as a stimulus is an invaluable vehicle for achieving this. WARNING: Outdoor adventures are addictive!